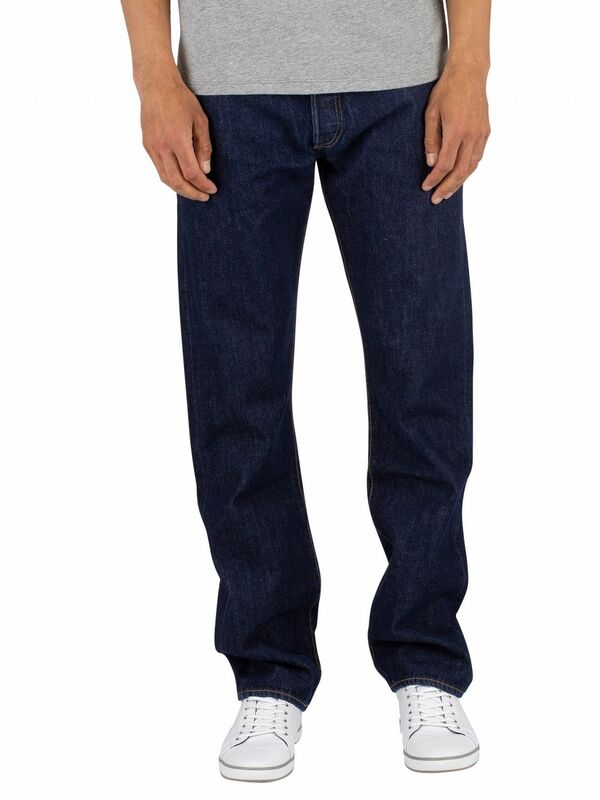 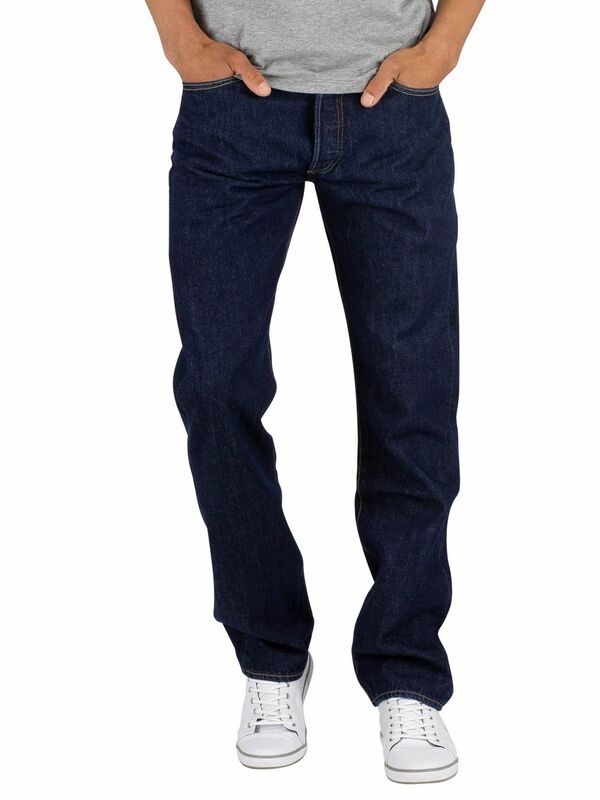 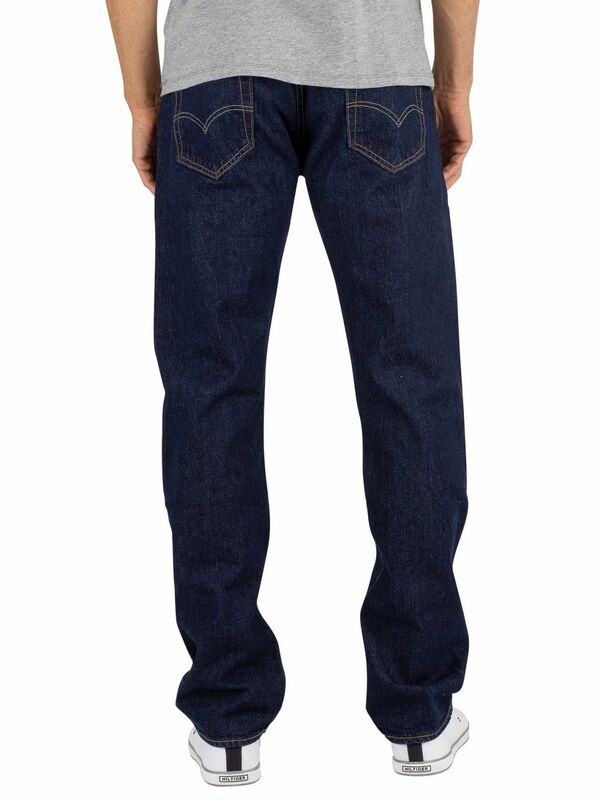 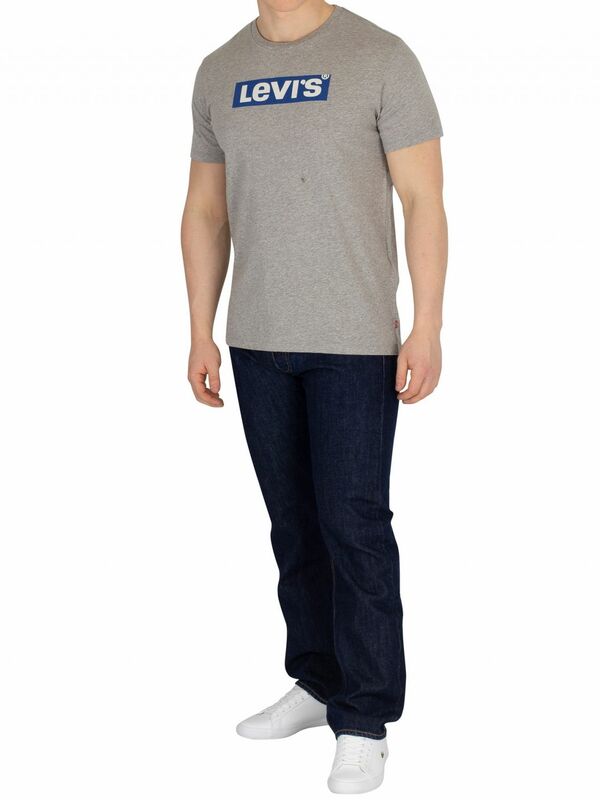 Levis 501 Original Fit Jeans features open front button fly. 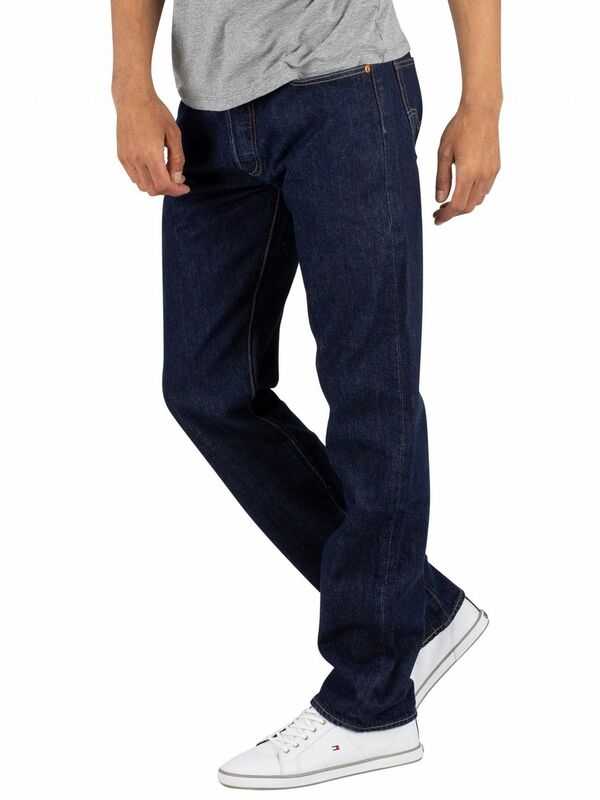 This Onewash coloured pair of jeans for men has pockets to the front along with a small coin pocket to the right side, back pockets with stitching detail and brand tab, a stitched brand tab to the waistband, and elongated belt loops. 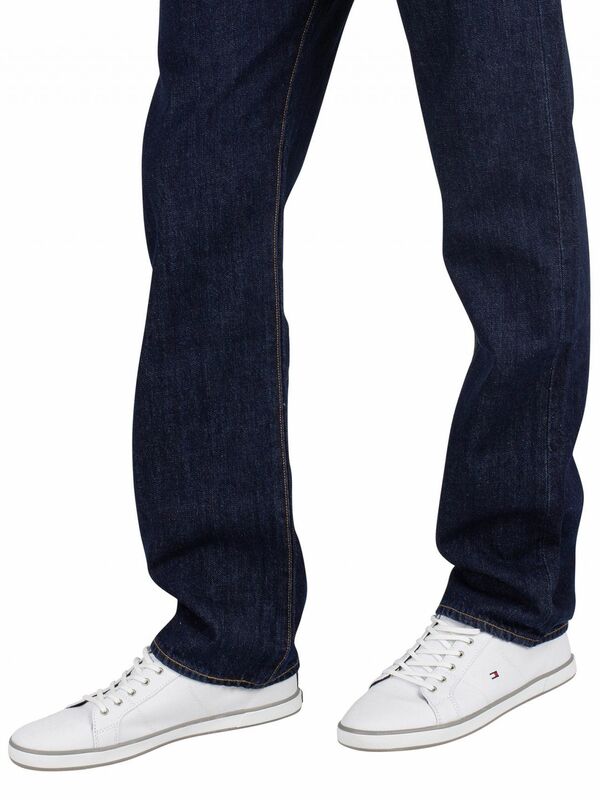 It is designed in regular fit. 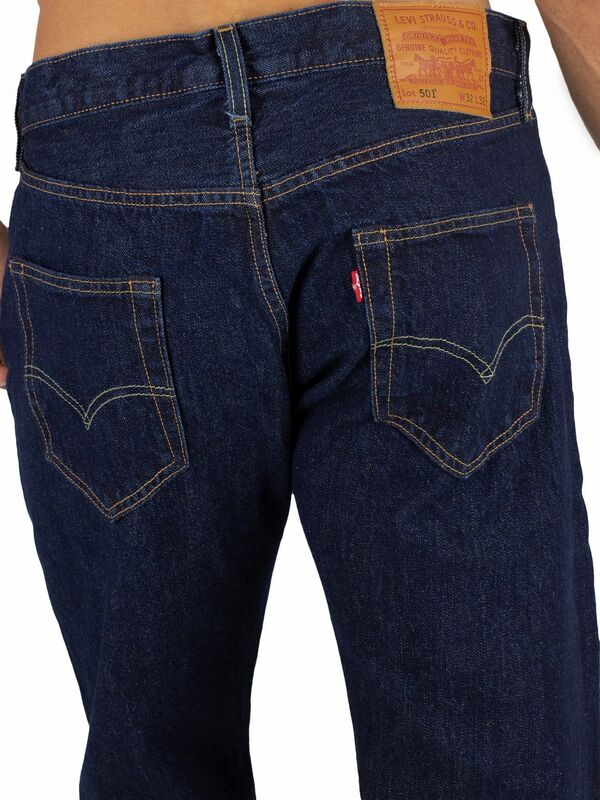 Heavyweight denim - 13.9 oz.